Invoice history based on 90 reviews. 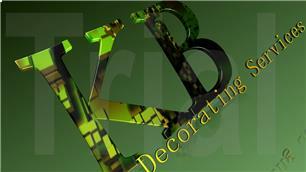 Hello, my name is Kamil and welcome to K B Decorating Services Checkatrade page. I have been in the trade as a painter and decorator for over 15 years. All my projects are completed by me personally or under my personal control so you can be assured of a highest standard of workmanship. For larger projects I work with a team. We consider all types of projects, from a single room to all houses. From plastering, painting, fitting laminate flooring, tilles, plumbing, carpentry and electricity. No job is too small to undertake. Please check out my gallery to see the standard of my workmanship.